Some days you just gotta be girly, and in my opinion this mani is just perfect for fulfilling that need. :) You may have seen this look on instagram a few months ago but if not you're in luck because I'm sharing it over here today in all it's glory! Check under the cut for more pics and a breakdown of what I used to put this look together. I started out with a base of L'Oreal Paris Peaceful Pink and then added some gold glitter patterns with a makeup sponge and L'Oreal Paris The True Gold. 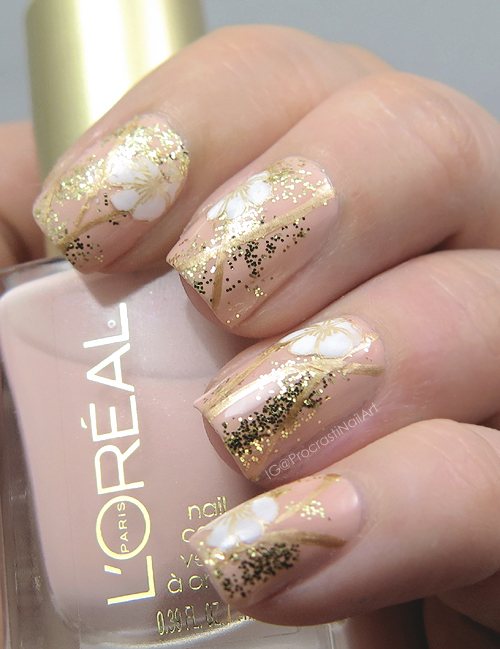 I used L'Oreal Paris Because You're Worth It to add some gold vines, and then also used it as a stamping polish to create the outlines for my flowers. 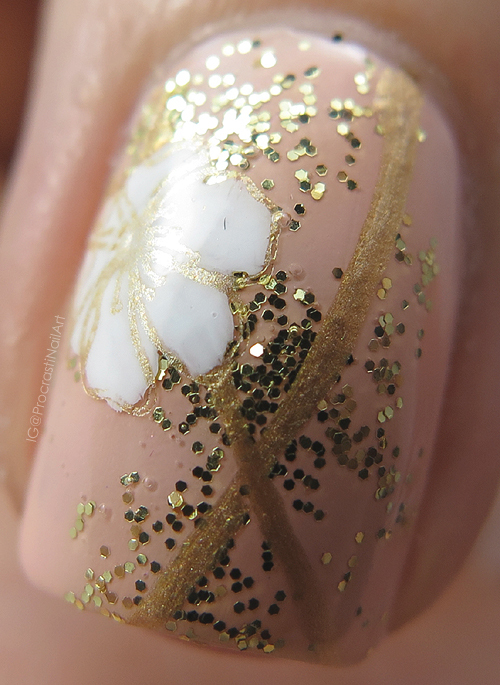 I did the stamping on a mat so that I could create decals, and I filled the flowers in with a clean white polish to add some contrast to the finished look. I applied them with top coat and they were done! Don't you just love it? I could stare at this look all day, to be honest. Those flowers, that base colour... Ahhh!!! Oh gosh! This is just so delicate and pretty! 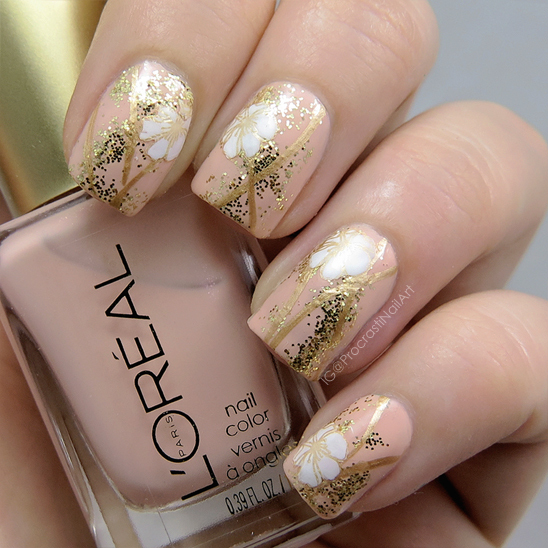 I am beyond in love with this manicure! It's so happy! oh, I am stealing this idea. Oh yay! That is a girly mani indeed and I adore it!